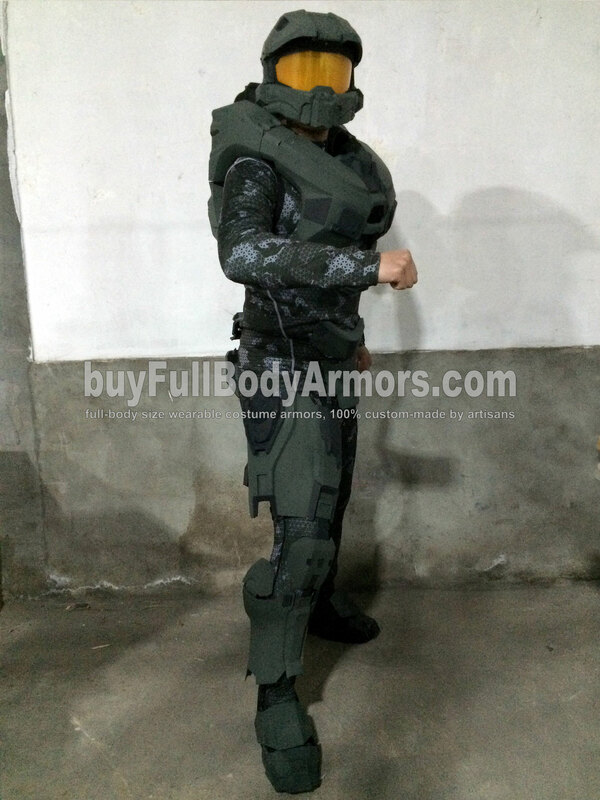 Our R&D team was back to work 2 weeks ago and just finished the lower part of the Wearable Halo 5 Master Chief Armor Suit Costume. You can see the suit has already been painted. But I want to emphasize that it is not the final color. Besides, the overall feel of the painting still need to be optimized to keep as accurate as that in the games and movies. 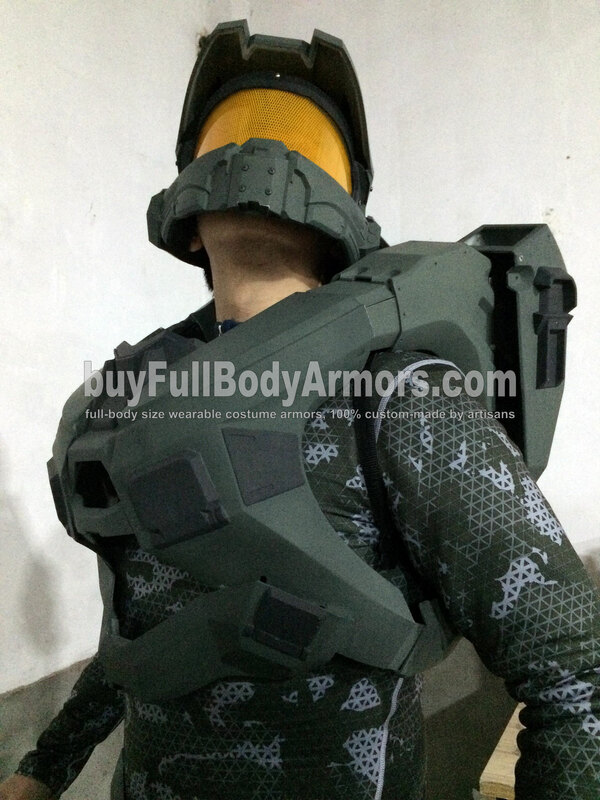 We are now working on the shoulder caps, the arm armors and the gloves of the Halo 5 Master Chief Wearable Armor Suit Costume. In 2 weeks, we will take serious photographs for the entire suit using Digital SLR and start to take pre-orders. Get ready fans! 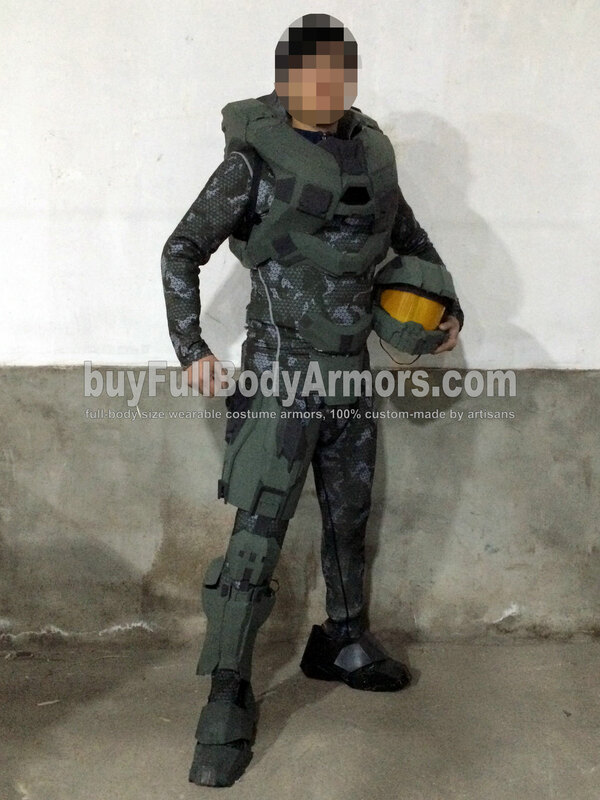 This entry was posted in News,Halo 5 Master Chief Armor Wearable Suit Costume R&D Full History and tagged wearable Halo Master Chief armor,wearable Halo Master Chief armor for sale,Halo Master Chief suit,buy Halo armor,buy wearable Halo Master Chief costume,Halo suit for sale,full size Halo armor,full size Halo suit,full size Halo costume,full size Master Chief armor,full size Master Chief suit,full size Master Chief costume on Jan 16,2016.